We had spent the week away, at a conference for pastors and their families. It was designed to encourage, equip, strengthen. It had done all that and so much more! I came home ready to reach the entire world for Christ, single – handedly if need be (Haha, ever been there?)! “Yea, and how long did that last?” you are wondering. Oh, about as long as it took me to walk in the door and discover what had been done to me in my absence. It was one of those mouth wide open, chin on the floor, “Oh my goodness…. you can’t be serious!” kind of moments. The villain in this story was someone I barely knew, had only recently met, practically a stranger. Yet she had single-handedly disrespected me and violated my heart in ways that will most likely last a lifetime. My blood pressure continued to rise for hours until I am pretty sure it was somewhere in the thousands! I am truly not a violent person by nature, but I confess, I wanted to gouge her eyeballs out with my fingernails! Of course, I would never do such a thing, so I did what all good Christian women do… I went to my husband and told him that HE needed to gouge her eyeballs out with HIS fingernails! He calmly told me that no, he would be doing no such thing… and that I was not to do any such thing either. In fact, he instructed me not to do or say *anything* to this woman. “What?! Are you kidding me?! Let this go as if nothing happened? !” Great… Now I had TWO enemies. This horrible, disrespectful, lying, heart-violating woman… AND my husband. Hurt welled up so deep within me. The tears flowed for days. I knew beyond the shadow of a doubt that this situation, and the timing of it, was the work of Satan, the enemy of my soul, the evil one who thrills at stealing all the goodness the Father bestows on us. Yet that knowledge did not help me know what to DO with the hurt I felt, or the bitterness that was growing. I longed for someone to talk to. Someone who would be as outraged as I was. Someone who would volunteer to HELP me gouge her eyeballs out, ya know?! But I knew this was not the answer. So I grabbed my Bible, my sword. I traipsed off into a private corner of the forest. I whispered to Jesus that I needed HIM to help me fight this battle. Not the “gouge her eyeballs out” battle… but the battle of bitterness, hurt, and unforgiveness that was warring in my soul. It did not take long for the precious Holy Spirit to lead me to Psalm 54. I cannot freely offer the sacrifice of praise… and hold tightly to areas of unforgiveness at the same time. They are like oil and water, praise and bitterness. They cannot cohabitate. Maybe this is why “sacrifice” and “praise” are often paired together. 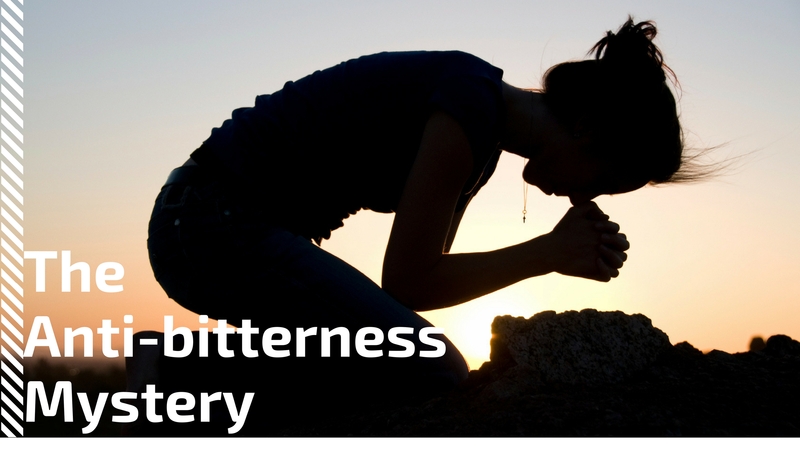 There are areas of my heart (like bitterness and unforgiveness) that must be sacrificed, in order to truly offer sincere praise to the Most High. The beauty of it, is all the Father bestows upon me in return…peace, joy, contentment, love, gratitude, His presence. “Oh God, You are so good. A sacrificial Lamb without blemish or spot. Possessing all power and all knowledge. Nothing is unknown to You. You laid the foundations of the earth. You are clothed with honor and majesty. You are the great Counselor. “How great is our God! Sing with me. How great is our God! All will see.